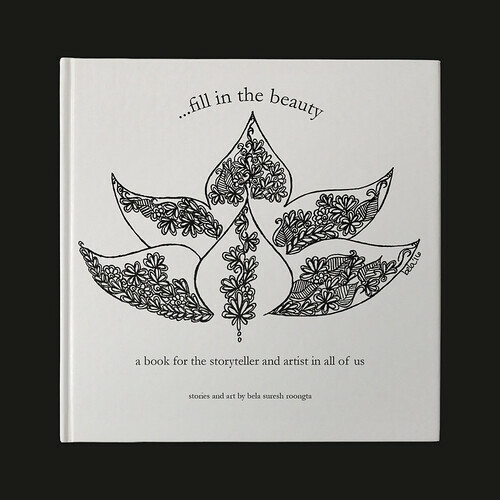 …fill in the beauty contains Bela’s hand-drawn designs, each one telling a story inspired by her life experiences as a woman, mother, friend, advocate, and artist. More than a reading and book signing, this event places Bela’s stories and drawings in the context of a participatory introduction to Indian culture. Stop in from 3:30-4:30 pm to have intricate geometric and floral designs applied to your hands by a henna artist, and sample some Indian treats. Bela will begin her talk and slideshow at 4:30 pm. Books and tee-shirts featuring Bela’s designs will be available for purchase. Bela Suresh Roongta, the daughter of parents of Indian descent, graduated from Cornell College in Mt. Vernon, Iowa with a Bachelor of Arts in Sociology and Philosophy and then went on to earn her Juris Doctorate from the University of Iowa College of Law. After graduating, she moved to Milwaukee where she practiced law for six years. Then, leaving her legal career, family and friends behind, Bela traveled to India where to learn more about her roots. Upon returning to America, she continued her advocacy work at the Task Force on Family Violence. But this left little time for henna, until late one night when she put pen to paper and drew her first design, after which she launched belabela. Bela Roongta is the recipient of the Governor’s 2016 Special Recognition Trailblazer Award for Women in Business and her designs can be found throughout North America and beyond.